A major insurance company has announced its plans to axe 700 jobs across its international branches but the company CEO has dismissed enquiries that 3,000 jobs would be cut in North America, Europe and Australia by 2015. Earlier reports had cited the bigger figure but the company head said that the organisation had yet to discuss or reach consensus on the bigger changes that needed to take place. One of the New Year’s resolutions for businesses that often get thrown around is a suggestion to keep better records. As part of that, if you’re not already being very careful with your record keeping, you should keep better track of your monthly outgoings and properly balance it against your monthly income. The benefits of this should be immediately clear and if they are not, I would suggest going and asking someone why it’s important. Anyone will do. If you have small children, even they will probably know. BPM has always played a vital role in the healthcare compliance, insurance sector and more. Use of BPM process for better outcomes in business is increasingly becoming popular. The economic environment has turned out to be more competitive than it was earlier. 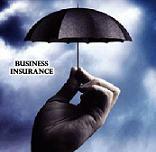 Insurance companies usually face extreme pressure for running profitable operations. They are responsible for ensuring that the best customer service is being offered along with the need for restricting risk exposure. 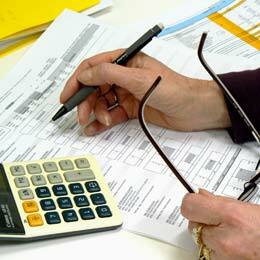 Payroll management is a laborious task and involve much of your time. However, if the procedure can be automated it will increase the speed and efficiency of business. Payroll management rests on employees’ working hours and attendance. One needs to automate this data collection process which can be integrated with payroll system. For several years different companies have tried to record attendance and working time f employee mechanically. However, the systems were not easy to manage. 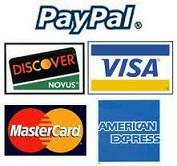 Why you should accept online payments? The world evolves every day and retailers can't hide from these changes. Technology is constantly adapting, as are buyers' needs. Now, retailers need to cater to a worldwide audience, not just those floating through the local high street. They must appeal both to the older, more loyal audience and the younger, whimsical customers - which means getting on board with the online revolution. There is still a place for bricks-and-mortar stores in the world, of course, but these ideally need to be complemented by a strong online presence. Here are just two of the main reasons why retailers must start accepting online payments. By not accepting online payments, you - as a retailer - could be missing out on an audience of potentially millions. Not everyone enjoys heading out to brick-and-mortar stores any more and in some cases, there are people that simply can't. This is usually due to mobility or disability issues. However on top of all that, there are also shoppers that just love hunting for their purchases online. They love the variety, convenience and cheaper prices that are on offer. Think about all of these eager beavers you're alienating by not making online payments available! It's just not worth it. With the rise in technology such as smartphone and tablet devices comes a growing demand for convenience. Shoppers want you to make it as easy as possible for them to buy from you. If you don't make it easy, they'll go elsewhere. It really is that simple. As such, you need to make your products available to them whilst they are out and about - sticking to a traditional high-street store doesn't achieve this. If you cater for this on-the-go customer base, you could well see your profits soar and your brand reputation heighten. It's a win! Remote working is a concept that many people will have heard about, if not indulged in themselves. 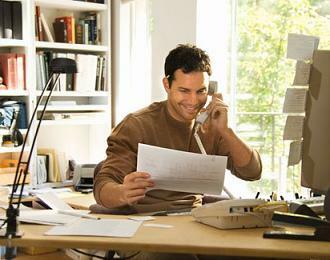 In the interests of keeping operating costs low, boosting morale, encouraging higher productivity and avoiding transport delays, more and more companies are enabling their staff to work either from home or some other location, anywhere but the physical office. While the economic situation has prompted companies to do this, many experts believe that the idea of a traditional working office has changed forever – we will never go back to the days when everyone worked out of a central office, not when technological advances and an awareness of work-life balance allows otherwise. So where does this leave those functions that are typically based on the premises? Those whose whole raison d’etre is to manage the office, namely facilities management? Are they still required now that people are working from home? The aim of facilities management is chiefly to create a healthy and safe working environment, so that business transactions can take place – their role is not simply about supplying extra desks or facilitating floor moves. Given that not everyone is working from home, there still needs to be a facilities management presence, though this could be an outsourced firm, rather than an in-house team. No matter the location, it’s a good idea for all large workplaces to make use of facilities management; London is not the only place where such expertise is required. 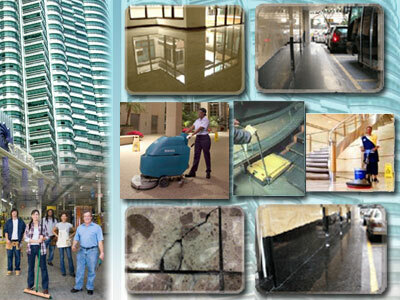 Facilities Management takes care of many aspects, encompassing at the very basic levels catering, health and safety, cleaning, stationary orders. It also manages property contracts, maintains the outside areas, responds to employee calls and fixes problems. In addition, the facilities management team contributes toward achieving energy-efficiency targets by finding ways to cut electricity consumption. Effectively, without facilities management, office-based staff could be put in danger of injuring themselves by tripping over hazards; get eye strain due to poor lighting; fall ill due to bad ventilation and be prevented from carrying out their day to day tasks. This may sound a little dramatic, but the fact remains that Facilities Management is a vital cog which helps the workforce perform, no matter if some people are working remotely. These days you will find a number of ways through which companies as well as individuals can monitor the organizational earnings as well as expenses in a safe and easy way. Now, a question may arise that due to what reason different such ways are coming into existence. In this regard, it needs a mention that sometime or the other each and every company has to face economic crisis. So, in order to reduce these problems you need to keep a track of your profit accumulation and different maintenance charges and in such circumstances, nothing could prove to be better than expenses management software. In the true sense, such software makes the process of accountability modern and simple and thus ultimately helps in financial management. This software has acquired credit for its capability to track all the expenses that an organization has incurred in a short span of time. However, all that is needed to get optimum utilization from this software is the information. So, prior to purchase of the software, you need to make sure to gather all the needed information that will ultimately help you to manage the finances wisely. In fact, people who are interested to save their money for the varied organizational activities should definitely avail the assistance offered by the software. While discussing about this technologically advanced software, we should also mention about online expenses software. It is exclusively designed keeping in the mind the requirements of the online users. 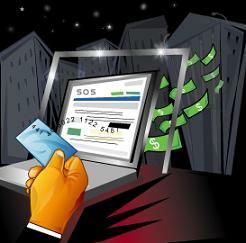 It remains responsible for tracking different online expenses through the incorporation of full expense details. However, apart from the purchase expenses, this software also remains engaged in determining the project expenses as well as web expenses. To know more, you need to get in touch with a company, which are using such software to keep a balance between their earnings and expenditures. 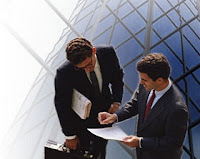 Business cash advance is an instant financial help made available to mainly the small businesses. Getting loans is easier nowadays but only the big business houses are blessed with the facilities of obtaining financial assistance from the banks. 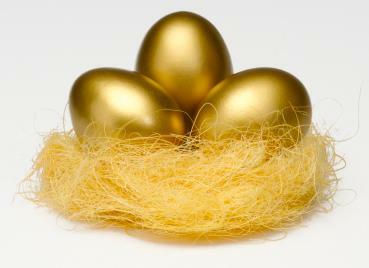 The small firms are not so much fortunate and are often neglected by the banking houses when it comes to loan granting. Moreover, the bank loans require a guarantor and/or collateral. A decent credit score is also a must-have on part of the borrowers. 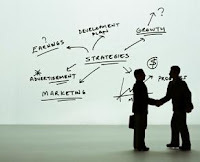 So in order to expand or establish, a small firm has to rely on business advance. Business cash advance is a result of some innovative thoughts to help those who lack in qualities to qualify for bank loans. The business or merchant cash advance industry is growing by leaps and bounds. Fast service is the highlight of the advance companies. Cash acquired through this alternative means can be anything between a wider range of $2,000 to $65,000. The basic principle behind the working of business advance is direct deduction from the estimated credit card receivables in future. In other words, the businesses which are accustomed to credit card sale are only eligible to apply for business cash advance. • You must be 18 years or above in age. • You must possess a regular checking account. • You must be making money through credit card payment. • Funds will be available within 7-10 days. • Approval rate is quite high (near about 90%) and loans are approved very fast. 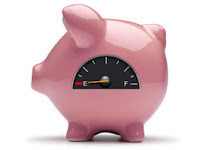 A little negotiation with lenders may bring down the interest rate to an affordable range. Generally interest rate is a little bit higher in case of business advance. Of different cash advance retail stores working in finance circle, merchantcashgroup.com deserves a special mention due to the quality of service it offers. Adding to its popularity is ‘cost-effective’ feature. This cash advance provider offers a good variety of schemes at affordable interest rate so as to fit everyone’s needs and pocket strength. The company has earned wealth of experience due to its long stay in this field. It feels the pulse of the business establishments and introduces different schemes accordingly. 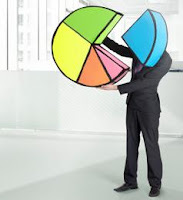 The best about this finance entity is that it guides its clients in every possible way. You just need to take the right pick from the options galore! Most companies believe in great customer services, but few set up a system which will ensure that they are successful in making customers happy with their products or services. To deliver excellent customer service one needs to understand what exactly a customer wants and must find out that the want of customer is fulfilled. While companies can excel in providing best services or products to customers but are confused regarding what customers think about these products and services. However, it is worthy to gather that knowledge. It is an accepted fact that selling company’s offerings to existing customers is cost effective than acquiring new customers. Most importantly, the differences between satisfied and highly satisfied customers can create differences in repeat purchase and profit. This means it is crucial to measure customer satisfaction and degree of satisfaction. Customer satisfaction market research surveys are effective for companies to analyse what customers think about a product or service, what are the chances of repeat purchase, whether any modification is necessary and how much profit a company can expect from such product or services. However, to obtain a clear picture it is necessary to carry out well-structured surveys. You can contact a professional agency to do it for you and you can use their analysed data for better performance.